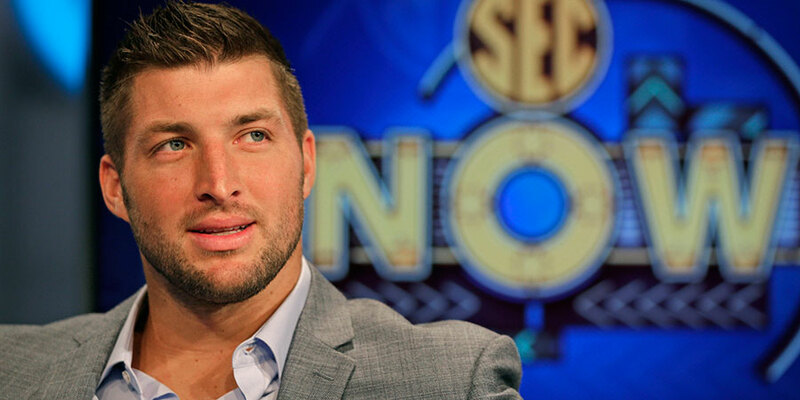 Former NFL star and SEC Network analyst, Tim Tebow, rushed to a fellow passenger’s aid aboard a Delta Airlines flight. The plane that had been on its way to Phoenix, Arizona from Atlanta, Georgia witnessed an unfortunate turn of events when a passenger on board started experiencing a medical emergency. The airline crew acted swiftly and attended to the suffering man without hesitation whether it was assisting with chest compression, starting an IV, breathing life back into the passenger or praying. Even fellow passengers of different social backgrounds jumped to the rescue. The devout Christian and former athlete, Tim Tebow, saw the commotion brewing and acted accordingly by making his way to the family of the ill passenger and comforted them the best way he knew how: through prayer. One of the other passengers aboard, Richard V. Gotti, shared on Twitter the frantic experience he had just witnessed. The post was retweeted 5,000 times. Another active social networker and fellow passenger, Pamela Rainey, posted a picture on Instagram of a concerned Tim Tebow turn around to make sense of the commotion and assisted the family to deplane with all their luggage. According to the Atlanta Journal-Constitution, Delta Airlines spokesperson Brian Kruse confirmed that there was indeed a medical emergency aboard Flight 1772, where a passenger was suffering a medical emergency and became unconscious. He mentioned that paramedics were all ready to greet the plane upon arrival to cater to the passenger’s serious health needs. Kruse commended the staff for the care and dedication shown towards customers and expressed his gratitude to those aboard for their bravery and selflessness. There was no formal confirmation about who was on the plane that day and Tebow himself made no mention of the incident, contributing to the humble nature he had exhibited aboard the flight. Furthermore, Delta Airlines does not divulge information about passengers on board. It was specifically due to the Twitter and Instagram posts that users nationwide were able to gain insight into the unexpected and unfortunate events that took place on Flight 1772. Gotti stated that the elder man had regained his pulse thanks to the paramedics on the scene after having landed in Phoenix. However, it seemed that despite all efforts, People Magazine reported that the elder man had passed away later that day. It is not every day that such acts of kindness shown, let alone witnessed. Although the elder passenger did not manage to recover, the courage, quick thinking, and compassion shown aboard the flight by strangers and flight crew alike is truly heart-warming. The incident marks a chilling day for the airline along with the crew on duty having witnessed an elder man losing his life in mid-air. The silver lining is that should there ever be an occurrence of such a nature again, passengers know that Delta Airlines will do all they can to ensure the safety of their customers.